If you live in a more northern climate, like me, you are probably just starting to think about getting your garden cleaned up and ready for spring. Warm weather crops, like tomatoes and peppers will need to be started inside in a couple of weeks for my zone. But cool season crops can be started now and planted out much earlier than the rest of the garden. Cool season crops can handle light frosts once they’re hardened off, but heavy frosts will generally do them in, so be prepared to cover these tender little transplants if really cold nights are threatening. Crops such as broccoli, cauliflower, cabbage, collards, kale, mustard, and bok choy can be started indoors early and planted out in the garden when the night time temps are expected to stay above 40 F. Most of these will also do well planted right out in the garden as soon as the soil can be worked. 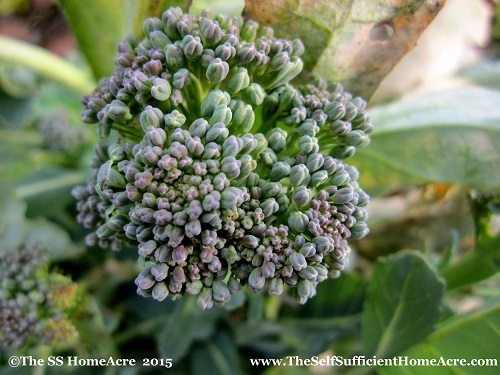 If you don’t have a long cool spring, broccoli and cauliflower will do best as started seedlings. Don’t forget to harden off your little plants. Just because they like cool weather doesn’t mean they will do well moving from your warm house into the garden with no acclimation. Many cool season crops, like lettuce, will do well direct seeded into the garden. There are also quite a few vegetables that can be direct seeded into your garden as soon as the soil can be worked in the spring. These crops include carrots, beets, Kohlrabi, parsnips, salsify (aka vegetable oyster), peas, lettuce, spinach, turnip, radishes, and kale. I tend to direct seed my kale and lettuce rather than starting them indoors because they grow so quickly as the soil warms up. Starting these crops early allows a quick harvest in late spring or early summer. Then you can clean out the bed and use the space for peppers, tomatoes, or eggplants. Peas are a yummy spring crop. They will often produce harvests for several weeks if the temps aren’t too high. In areas that really heat up in the summer, you may want to skip the spring planting of turnips and rutabagas unless you plant early and harvest young. These root crops tend to get woody and tough as soon as the summer days heat up. If you’re organized and get your garden beds cleaned up in the fall, you can winter sow many of these cool season crops. Prepare your beds and plant the seeds as you normally would late in the fall after everything else has been harvested. The seeds know when it’s time to wake up in the spring and rarely will you have a cold snap hard enough to kill those early crops. I often plant my greens out in the fall to get off to an early start. Kale, lettuce, spinach, and arugula make a wonderful salad and grow well together in a protected bed. I have kept greens going up to Christmas time and started them a month early in cold frames contrived from bales of straw and old windows. 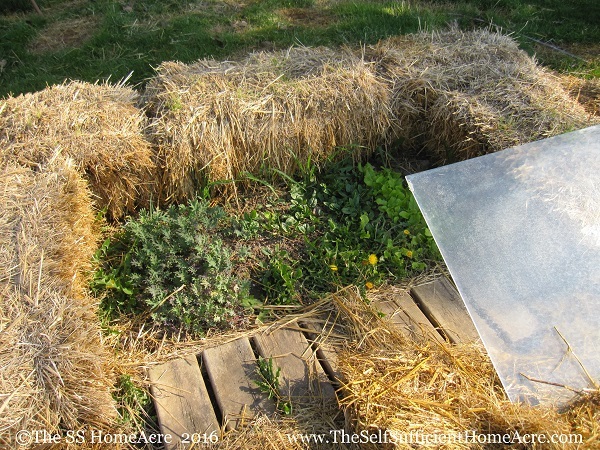 The perfect spot for a cold frame is in a sunny, high spot in your yard. Frost settles in low areas, so aim high when choosing a location. With some careful planning, you can extend your harvests of cool season crops and enjoy these healthy veggies when few things are ready to eat from the garden. For those striving for self sufficiency, learning to grow these crops in the ‘tween seasons will put food on the table and give you a good excuse to go play in the dirt a little bit longer each year. Do you garden 3 seasons out of the year? What are you favorite cool season crops? What to do With Extra Eggs? I’m sorry Manuela…I intended to reply to LIsa…Thanks! My cool season crops are bolting already! I think we’ve skipped spring and are heading into early summer. People are already planting tomatoes! Wow! What a difference from here. My garden is so muddy from the relentless rains we’re having, that I can’t even walk out to check for germination. My guess is nothing is coming up because it’s been cold and wet since I planted. Best wishes with the tomatoes and other warm weather crops! Thank you for your blog..It’s great fun for me. I just want to offer a solution to your muddy earth issues. I order two large bales of compressed rice hulls every Spring from Peaceful Valley garden supply here in No. California.. I use it for mulching, breaking up clay soils (as the hulls don’t break down quickly…usually takes three years). helping to hold moisture in the soil in our low humidity area and for covering all the walkways in my gardens. It’s so helpful when the rains come to have about two to three inches of rice hull carpet in my garden…plus they make the garden look brighter all year long and feel so good under bare feet! What a great amendment to add to your garden! Unfortunately for me, rice hulls aren’t available in my area…but I’m sure that some folks reading this will be able to find them in their area! Thanks so much for sharing! I popped over from AOCs Tuesday Garden Party. Your cool season crop photos make me happy! My red cabbages WERE doing well out in the garden under some row cover, but I just checked on them to find something has started nibbling away. So much for my idea of keeping the bugs out! Wow…I don’t even start my warm weather crops under light until the middle of April! Thanks for sharing your experience with us Jenny! Our cool weather season officially starts around Valentine’s Day, but this past year we started at Christmas with our transplants and some seeds we attempted to overwinter. We grow a lot of lettuces, I love to have a salad every night for dinner; kale, Swiss chard, peas, spinach, and beets. This year we tried a few carrots. The heat comes on usually mid June and lasts until September, but if you plan everything just so, and are lucky, you can get a fall harvest. This past year being on our new place, which I’m convinced is a different zone entirely, we didn’t have much luck. Someday though I hope to garden year ’round. It’s already HOT here in the South! My cabbage bolted and the tomatoes are growing tall after being transplanted 2 weeks ago. We had amazing rain this weekend. Sometimes I miss the cool weather! Hi Lisa, I love this post! I’ve never done mixed greens (lots of greens, just not mixed) and was wondering how do you harvest yours? Also when would you sow these (as in what temps)? Thanks! Thanks! I’m glad you stopped by 🙂 I often harvest these mixed greens as babies. A pair of garden scissors comes in handy for clipping, but I usually forget them when I head outside with a bowl in hand. So I’ll just pinch off the larger leaves until I have enough for our dinner salad. I always make sure that I harvest shortly before washing and eating so they don’t wilt. As the greens get larger, I just keep harvesting the larger leaves to use and let the little, inner leaves do their thing until we can eat them too. I have planted my greens in the fall, early spring, and even in the late winter. Most greens will self sow if you let them go to seed and then they germinate when they are ready (spinach is the only one that I haven’t had good luck saving seed or allowing to self sow). So I can’t give you a temp to go by. My fave method is to wait until the soil is workable in the spring, get the bed prepared, then go to town planting my salad mix. Every year is different…some years I have them all mixed together, and other years I have a lettuce mix and the rest is in separate rows. We grow year round here in New England. In the cold frames (mini-greenhouses) we grow lettuce, kale, herbs, onions and other greens through the winter. The carrots, broccoli and cauliflower can usually last until we get a hard freeze. My greenhouse is already filled with lettuce, kale, tomatoes, peppers, eggplant and basil seedlings!